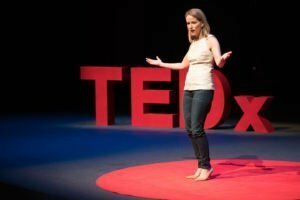 How can you be more entrepreneurial, resilient and impactful in the face of constant change? This is the subject of the latest book by Diana Wu David. Accelerating change, disruption, globalization and increasing longevity are creating a new and uncertain world of work. These same forces make building work in the context of a well-lived life a greater possibility than ever before. 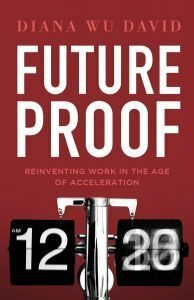 Using the studies, stories and practical actions in Future Proof: Reinventing Work in an Age of Acceleration you will discover surprising ways anyone can experiment, collaborate, reinvent and focus to be more productive at work and more successful at life. Join us for this author’s talk and a panel discussion on engaging the next generation of workers.